This is nice for breakfast, brunch or lunch. The size of the skillet determines how high the frittata is when served. If you want larger serving pieces, use a smaller skillet. I used a 10 inch stainless skillet. I would use an 8 inch skillet for a thicker serving wedge, but I would not use a larger skillet than 10 inch. As long as your skillet is HOT before you add the oil or butter, it will not stick too much. If you want to be sure, use a nonstick skillet. 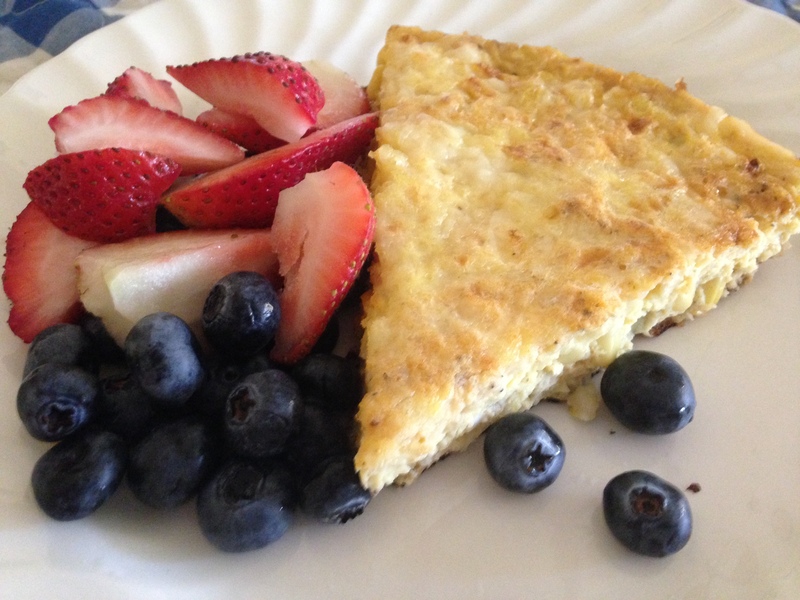 This recipe is taken from Cooking Light 2014. I have changed very little to this recipe. Although I did not add the parsley. Heat an 8 or 10 inch ovenproof skillet over medium high heat. Add oil and swirl to coat. Add corn and shallots; stir and sauté 3 minutes. Stir in 1/4 teaspoon salt, 1/4 teaspoon pepper and smoked paprika. Saute 1 minute and remove from heat. In a medium bowl whisk together eggs, remaining salt and pepper and milk. Add corn mixture to eggs and stir. Wipe out skillet with paper towel. Return pan to medium heat and add butter and swirl to melt. Add egg mixture to pan. Cook 1 minute without stirring. Gently slide pan back and forth to keep eggs from sticking. Cover, reduce heat to low and cook 4 minutes. Place under the broiler to finish cooking 1-2 minutes until eggs are just set and cheese melts. 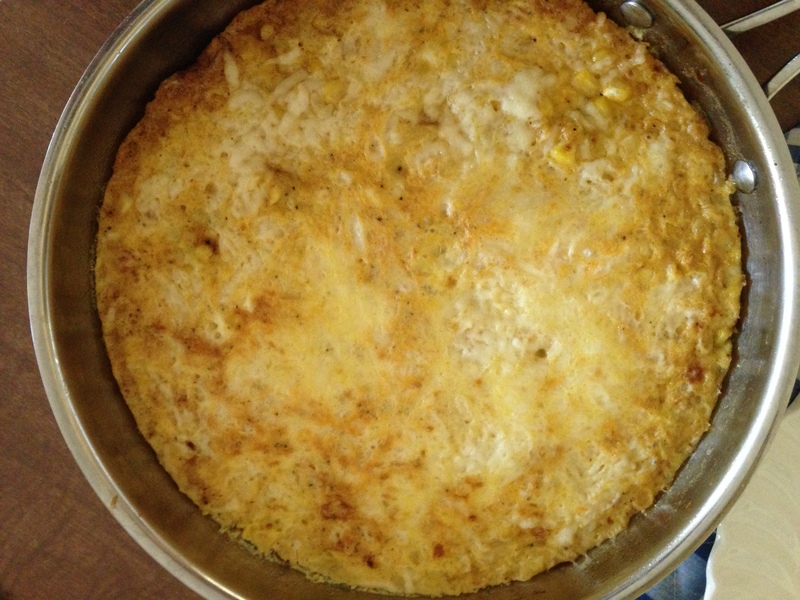 Posted in breakfast and tagged corn, frittata, quick meal, smoked paprika, vegetarian. Bookmark the permalink.